A: Influenza is a contagious respiratory viral illness, caused by influenza A or influenza B virus. It usually causes symptoms such as sore throat, stuffy nose, cough, fever, and body aches. In the Northern hemisphere, influenza is most common in the winter. Peak influenza activity usually occurs between December and February, but it can start as early as October and occur as late as May. In “uncomplicated” influenza, the flu causes symptoms similar to — but usually worse than — a very bad cold, and then these get better over 5-7 days. Most people who catch the flu experience uncomplicated influenza, with some people experiencing more significant symptoms than others. In fact, some people (14%, in one study) will catch the flu and shed some flu virus, yet not report any symptoms! However, influenza does sometimes cause more serious health problems, which we call “complications.” These are more likely to happen to people who are older, have other chronic conditions, or have a weakened immune system. The most common complication of influenza is pneumonia, which means a serious infection of the lungs. Such pneumonias are sometimes purely viral. But it’s more common for them to be caused by bacteria, who are able to infect the lungs due to the body being weakened by influenza infection. Many older adults also appear to experience worsenings of any chronic heart or lung conditions, when they experience influenza. These complications of influenza often cause hospitalization or even death. Q: How does the flu shot help protect one from influenza, and how effective is it? A: The flu vaccine works by stimulating the body to produce antibodies against whatever strains of influenza were included in that year’s vaccine. After vaccination, it takes about two weeks for the body’s immune system to create its influenza antibodies. Our bodies are able to fight off viral infections much more quickly, if we already have matching antibodies available when a virus tries to create illness in our bodies. If we don’t have matching antibodies available, then we’ll experience more illness, and it will take longer for our immune systems to control the infection. Sometimes the scientific prediction works out well. In this case, we say that the vaccine was well matched to the influenza viruses circulating that winter, and influenza vaccination will have been more effective in preventing the flu. But there are years in which the influenza strains that circulate the most in the winter are not the ones that scientists were expecting. These are the years in which the influenza vaccine is not well matched, and there tends to be more illnesses and hospitalizations. The CDC estimates that when the vaccine is well-matched to the circulating influenza viruses, flu vaccination reduces the risk of flu illness by between 40% and 60%, for the overall population. Several different flu vaccines are available every year. “Trivalent” flu vaccines have been available for the longest: these protect against two strains of influenza A and one strain of influenza B. “Quadrivalent” flu vaccines, available since 2012, protect against two types of influenza A and two strains of influenza B. Vaccines also vary in terms of whether they are “standard-dose” versus “high-dose,” and one type includes an “adjuvant,” which is an additive designed to increase the immune system’s response to the vaccine. (More response is better, in that it means more protection from future infection.) I’ll discuss high-dose and adjuvant vaccines later in this article, in the section addressing flu shots for aging adults. You can find a list of all available influenza vaccines in the Table listed below. Q: Can you get the flu from the flu shot? What are the risks and side effects of influenza vaccination? A: No, you can’t get the flu from a flu shot. The currently recommended vaccines are made with either “inactivated” virus (which means the virus has been killed and can’t become alive again) or “recombinant” technology (which means they have cobbled together virus proteins). It is not possible for these vaccines to give you influenza. There is also a “live attenuated” form of flu shot (FluMist), available for people ages 2-49, which is given by nasal spray. This contains a weakened form of influenza virus. This was not included on the CDC’s list of recommended flu vaccines for the 2016-17 and 2017-18 flu seasons, but is approved again this year. It has historically been popular with children, however, research suggests it’s less effective than the other flu vaccines, so the American Academy of Pediatrics is recommending parents choose to vaccinate with an injectable flu vaccine instead. The most common side-effect of the flu shot is arm soreness, and sometimes redness. People do sometimes report body aches, fever, or cough after the flu shot. But a randomized trial found that these are equally common in people who just had saline injected, so these symptoms are either due to getting sick from something else after your flu shot, or perhaps to even expecting to feel lousy after your flu shot. Serious adverse effects related to the flu shot are very rare. Q: What are best ways to protect oneself from influenza and its complications? Minimize your exposure to people spreading influenza virus in the winter. Take steps to bolster your immune system, so that if you do get exposed to influenza virus, you’ll be less likely to get very sick. Older adults should also make sure they are up-to-date on pneumococcal vaccination, which now requires two different vaccinations. (These are one-time, not yearly). Pneumococcal vaccination helps reduce the risk of certain types of bacterial pneumonia and other potential complications of influenza. A 2016 meta-analysis concluded that being vaccinated for both influenza and pneumococcus was associated with a lower risk of pneumonia and death. For more on pneumococcal vaccination, see: 26 Preventive Services for Older Adults (Vaccination section). The main way people get exposed to influenza is when they breathe in air droplets containing influenza virus. These droplets are created when people infected with influenza virus talk, sneeze, or cough. The CDC estimates that a person infected with influenza virus may be contagious for one day prior to developing symptoms, and 5-7 days after getting sick. Influenza virus can also survive on hard household surfaces for up to a day. The virus survives for much less time on soft surfaces, such as used tissues and bed linens. Avoid exposure to people who may be infected with influenza. Clean household surfaces, especially hard surfaces such as counters, and especially if someone living with you has been sick. Wash your hands often, especially before touching your eyes, nose, or mouth. Minimize your time near people who have not been vaccinated for influenza. Your risk of influenza exposure is reduced if people around you — family members, co-workers, fellow residents of your living facility — are vaccinated for influenza. Since we are social creatures and live in communities, we all have a good chance of being exposed to the influenza virus at some point. Whether we get sick from this exposure, and how sick we get, depends on how well our immune system can fight off the influenza virus. Be vaccinated against seasonal influenza. If the vaccine is a good match with circulating viruses and you have a good antibody response, this is probably the best way to prepare your immune system to beat influenza. Q: Is the flu vaccine effective for older adults? A: You may have heard people say that the flu shot doesn’t work in older people. This is not entirely correct. Now, it’s true that flu vaccine is usually less effective in older adults, because aging immune systems tend to not respond as vigorously to the vaccine. In other words, older adults tend to create fewer antibodies in response to vaccination. So if they are later exposed to flu virus, they have a higher chance of falling ill, compared to younger adults. But “less effective” doesn’t mean “not at all effective.” For the 2016-2017 flu season, the CDC estimates that vaccination prevented about 600,000 influenza cases and 55,000 hospitalizations, for adults aged 65 and older. To provide more effective vaccination to aging immune systems, vaccine makers have developed “stronger” vaccines against the flu, which I explain in the next section. Q: Are there flu shots specifically designed for older adults? Yes, over the past several years, vaccine makers have developed vaccines that are designed to work better with an aging immune system. Most research studies to date show that these stimulate aging immune systems to produce more antibodies to influenza. There’s also some evidence that these vaccines reduce the risk of being hospitalized for influenza. However, so far the CDC’s Advisory Committee on Immunization Practices (ACIP) has not particularly recommended these vaccines for older adults. Instead, the ACIP says that older adults should get any influenza vaccination approved for their age. Fluzone High-Dose: This trivalent vaccine contains four times the amount of antigen, compared to Fluzone standard-dose. It is approved for adults age 65+. Studies have found that the high-dose vaccine does improve antibody response. A study published in 2017 also found that use of the high-dose vaccine in nursing-homes was associated with a lower risk of hospitalization during flu season. Fluad: This trivalent vaccine contains an “adjuvant,” which is an additive meant to stimulate a better immune response to the vaccine. It is a newer vaccine in the U.S., but had been licensed in Canada and several European countries prior to receiving approval here in 2015. An Italian study found that this vaccine resulted in higher antibody titers, among older adults. Q: Does Medicare cover the cost of influenza vaccination? Yes, yearly influenza vaccination is 100% covered by Medicare, with no deductible or co-pay. So if you get your flu shot from a health provider that accepts Medicare payment, there should be no cost. Which influenza vaccination is best for older adults? Only Fluzone High-Dose and Fluad carry an age indication specific to 65 years or older. However, the CDC does not recommend any influenza vaccine over another, for adults aged 65 or older. So if you are an older adult, or if you’re trying to arrange a flu shot for an aging relative, which flu vaccine should you try to get? My take is this: if you have a choice, go for one of the vaccines designed for older adults. Why? Because we know that as people get older, their immune systems tend to respond less vigorously to immunization. And because research suggests that the high-dose flu shot generates higher antibody titers and has been associated with better influenza outcomes. We do have more research and experience for Fluzone High-Dose than for Fluad, so unless you are enrolling in a clinical trial of Fluad, I would suggest going with the Fluzone High-Dose. Now, both flu vaccines designed for older adults are trivalent and not quadrivalent. Quadrivalent vaccines do provide protection against an additional influenza B strain. However, experts say that older adults are less likely to be seriously ill from influenza B than from influenza A. Also, no published study has compared a quadrivalent vaccine against a high-dose trivalent vaccine. So for now, there does not seem to be a particular reason that an older adult should choose a quadrivalent vaccine over a high-dose trivalent vaccine. You may have also heard that the New England Journal of Medicine published a study in 2017, about a newer influenza vaccine in older adults. That study, funded by the manufacturer of recombinant influenza vaccines, compared the effectiveness of a recombinant quadrivalent vaccine with a standard-dose quadrivalent inactivated vaccine, in adults aged 50 and older. Confirmed influenza cases were 2.2% in the group receiving recombinant vaccine and 3.2% in the group receiving inactivated vaccine. Hence the probability of influenza-like illness was 30% lower with the recombinant vaccine than with the inactivated vaccine. But again, this study did not compare the recombinant vaccine against a high-dose inactivated vaccine. What is most important is to get any type of flu vaccination that is approved for your age. Research suggests that older adults are more likely to benefit from a high-dose influenza vaccination, such as Fluzone High-Dose. If you are under age 65, you might get better protection from an influenza vaccine that is quadrivalent compared to trivalent. You also might get better protection from a vaccine that is recombinant rather than made from inactivated vaccine. Flumist, the nasally administered vaccine, is available to people age 2-49, after being off the recommended vaccine list for two flu seasons. However, the American Academy of Pediatrics is recommending parents choose an injectable flu vaccine, since research suggests those are more effective. Now, what if your older parent won’t, or can’t, get a flu shot? Ask them to clarify what their concerns are. It’s important to start by listening, in order to understand what an older person believes about the flu and the flu shot. Provide information to dispel myths and misunderstandings. Sometimes all people need is a little of the right kind of information. Point out that it can benefit an older person’s family members and neighbors. Getting a flu shot can reduce the risk that we pass the flu on to another person. People are sometimes more willing to take action to protect others than to protect their own health. Make sure they know they won’t have to pay for the flu shot. If you get the shot from a provider who takes Medicare, it shouldn’t cost anything. Offer to go together to get your flu shots. Sometimes it helps to make it a family outing. There are also some older adults for whom it’s hard to get a flu shot, such as people who are homebound or have very limited transportation options. If this is your situation, the main thing to do is encourage flu shots for family and others coming to the house. For older adults who don’t get out much, their main source of exposure to influenza will be from those who come to them. Above all, don’t panic if your older loved one can’t or won’t get a flu shot. Being vaccinated certainly helps make this chance smaller. But not every older person is interested in doing everything possible to reduce the danger of illness. Vaccination is important from a public health perspective, but most people survive flu season whether or not they’ve been vaccinated. Personally, I think it’s worth getting vaccinated because there’s a small chance that you’ll avoid the misery of having influenza. And, there’s maybe an even better chance that you’ll help reduce the spread of influenza to people around you. The downsides of getting a flu shot are small. You’ll have to get to a place where they are offering the flu shot. The needle poke will hurt for a moment. Your arm might be sore for a day or so. And then that’s it! You’ll have done your small part to protect yourself and others. So, have you decided where to go to get your flu shot? You can find a place to get one here: VaccineFinder.org. Questions about influenza vaccination for older people? Comments? Post them below! This article was reviewed and updated in October 2018. Q. What do you recommend for Cancer patients undergoing chemo or radiation or surgery or other therapies… please share qualified links (not ads) on this topic. It will be helpful and increase sucessful outcomes that are far reaching. Oxox Thank you! So thorough research based … with clear pros/cons options and probability consequences. This speaks well of not just your professionalism … but compassion. You have found your calling! Thank you, I’m glad you find the research references helpful. 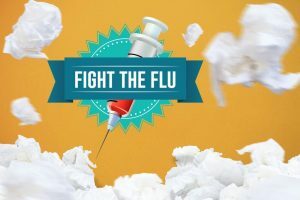 The CDC and other experts recommends influenza vaccination for people with cancer: https://www.cdc.gov/cancer/flu/index.htm. This is because having cancer or another serious illness increases one’s risk of having serious complications, if one catches the flu. For anyone currently undergoing chemotherapy or other treatment, the best would be to ask one’s cancer specialists for their recommendation, regarding influenza vaccination. A few years ago I had the senior flu vaccine and had a high temperature over 103. I just get the regular vaccine now. I do have some allergies to certain drugs so this much stronger vaccine may just be another one for me. This is an extraordinarily informative, clearly written article that will be helpful to people of all ages. I’m so glad you are out there, sending sensitive, practical, compassionate advice to all of us! In view of the fact that “older adults tend to create fewer antibodies in response to vaccination”, is there any validity in an older adult getting a “booster” shot in a few months (say January)? It’s true that older adults tend to create fewer antibodies, and the immunity that is created by the vaccine will wane over the next several months. Would the flu vaccines for older adults be thimerosal free? My mother is afraid of mercury since she already has dementia? Also we heard that last year they picked the wrong strain to vaccinate against? Is it still worthwhile to get the vaccine? Generally it depends on whether the vaccine formulation is a single prefilled syringe versus a multidose vial. A preservative such as thimerosal is usually used in multidose vials. The CDC considers thimerosal very safe: Thimerosal in Vaccines. I am not aware of any correlation between thimerosal and dementia. If your mother is concerned about mercury exposure, she should bear in mind that seafood is usually a much more significant source of exposure to mercury. A 2016 autopsy study found that people who consumed more seafood did have higher levels of mercury in the brain. However, this did not correlate with higher levels of Alzheimer’s pathology; instead, people who consumed more seafood had FEWER plaques and tangles in the brain. If your mother has dementia and wants to minimize her risk of cognitive decline, the medical things that are most important to avoid are delirium and medications that slow brain function (e.g. anticholinergics and benzodiazepines). Delirium in particular has been associated with acceleration of cognitive decline, in people with dementia. Getting her annual flu shot can reduce her risk of getting very sick from influenza. But it doesn’t really matter whether last year was a good match or not. The vaccine is a good enough match most years. Getting vaccinated is safe, and does reduce one’s risk somewhat during flu season. I wasn’t aware that you request a type of influenza vaccine – that adds another level of complexity. Can you clarify about how to use the information on the different types of influenza vaccines available. If I go to the CVS for a shot, should an older person ask for a certain type? Sorry if all the detail above has caused confusion. There are indeed several types of flu shot being manufactured, but my guess is that most providers of flu shots will only have a few flu shot options available…probably whatever they decided to purchase for this year’s flu shot season. If you are interested in a high-dose flu shot for older adults, then you should definitely ask your doctor or the drugstore if they can provide it. Otherwise, you can ask them what other types of flu shots they are offering. When you write “the downsides of getting a flu shot are small”, or “getting vaccinated is safe” you are ignoring the fact that the majority of dangerous reactions, (like Guillaine-Barre paralysis, severe immune dysregulation, flu like illnessses) reported by doctors to VAERS =Vaccine Adverse Events Reporting System are from the influenza vaccine. Since the CDC estimates that fewer than 1-10 of these reactions are reported by doctors, the FDA says 1-100, it’s simply not possible to estimate safety. The adjuvant is usually aluminum, even more neurotoxic than mercury, which at least in seafood has selenium and Omega 3’s to reduce inflammation and bioavailability in crossing the blood brain barrier. The CDC and other researchers DO try to estimate safety. When they do randomized trials of influeza vaccine, all participants are monitored for adverse events. And then they also do other analysis, to determine whether the likelihood of benefit outweighs the likelihood of harm. Most people are far far more likely to experience harm from influenza than they are to experience harm from the vaccine. For GBS, a 2014 analysis concluded that the attributable risk was 1.03 GBS cases per 1 million vaccinations. As for the adjuvant, we don’t have much clinical experience with it in the US and I’m not able to research alumnimum at this time. Honestly I prefer to have people exposed to fewer drugs and other synthetic substances, so I would have a personal preference to avoid adjuvants unless they were shown to have a dramatically better effectiveness than Fluzone High-Dose, which has a more established track record. Thank you for this useful advice. Since my parents and I receive influenza vaccination every year, we seldom get infected except that my mom still got Flu A and sent to the hospital in 2015, which worsen her cognitive problem with delirum. Talking about vaccines, our government (Hong Kong) advised that one dose of PCV13 will be needed for elderly persons with high-risk conditions, followed by one dose of 23-valent pneumococcal polysaccharide vaccine (23vPPV) one year after. What are the differences between these two vaccines? Is it enough if one has received only PCV13? Can one dose of 23vPPV only in order to get sufficient protection? I also heard that if one gets one dosage in a year, then a few years later he has to receive an “additional” or sort of “enhanced” jab so as to maintain the number of antibody. Is it true? In the U.S., a one-time vaccination with PPSV23 (Pneumovax) has been recommended for older adults for quite some time, to protect against Streptococcus pneumoniae, a bacterium that can pneumonia and also other serious infections outside the lungs. Pneumovax provides protection against 23 serotypes of this bacterium. In 2014, the CDC decided to also start recommending that older adults be vaccinated with PCV13 (Prevnar), which is another type of pneumococcal vaccination. Prevnar protects against 13 serotypes of the bacteria, and offers complementary protection to Pneumovax. Some people are vaccinated with PPSV23 earlier in life, due to having certain health problems. The CDC recommends that those individuals be re-vaccinated with PPSV23 after age 65. If your primary care doctor tells you that you are on the verge of Hashimoto’s disease because I have autoimmune disease . ( Fibmaligialia rheumaticia 2010 thru 2012). Doctor is keeping a watch on this before medication. My question is; Will the elderly flu shot increase my autoimmune disease and cause other diseases such as lupus etc. I read this somewhere from a rheumatic doctor. Is this true? The CDC and other experts generally recommend that people with autoimmune diseases get the seasonal flu vaccine. This is because people with autoimmune conditions are at higher risk of having flu complications, and it’s estimated that the overall risk of being harmed by the flu is higher than the small risk of developing an autoimmune exacerbation related to the vaccine. Thanks for your research on this. I will check with the rheumatologist that treated me in 2010 for fib rheumatic. He tole me not to take the flu shot then but I was on high doses of predisione at the time. Maybe that was the reason. I just saw your post on flu shots and wanted to know your thoughts. Thanks again. I enjoy your posts. Glad you are finding this site helpful. Forgot to mention earlier: some experts hypothesize that vaccines with adjuvants are more likely to overstimulate a sensitive immune system. You may want to ask your rheum specialists for their opinion on this matter, as it relates to your personal health history. Otherwise: the trouble with prednisone is that it suppresses the immune system, so I would expect it to render vaccination much less effective, rather than enabling vaccination to prompt an autoimmune attack on the body. But again, talk to your rheum specialists! Good luck! Oh, too bad that you got sick just the year you got the flu shot. Sounds like bad luck. Hopefully you will make a quick recovery. Azelastine is an antihistamine available as a nasal spray and also as eye drops, for people prone to get allergic inflammation of their nasal passages or eyes. Great that it’s been working well for you. It’s startling to think that the flu can hospitalize and even kill people. As an adult, I’ve never gotten a flu shot, but now I think I may. How can I know which vaccine to get this year? The CDC’s take is that any flu vaccine on the list for this year is acceptable. In the “Bottom line” part of the article, I list some considerations to help people make an informed choice, if they have one. Some people do prefer to avoid the flu vaccine, for various reasons. Sorry but I had to delete much of your comment as it hinted at profanity and also said some disparaging things about older adults. My 75 year old mother was diagnosed with Alzheimer’s over 5 years ago and is in the moderate stage. She lives in a memory care facility and needs help bathing and dressing, sometimes with eating. She can’t find her room and doesn’t know what happened 5 minutes ago. She sees things that aren’t there. It is not safe for her to be alone at all. She has recently fallen twice, and now has multiple fractures of her pelvis. She’s in a nursing home for rehab and we don’t know if she’ll walk independently again. She has a POLST and also a healthcare directive and does not want any interventions, comfort care only. I am her power of attorney. She is no longer herself, and is miserable at times when she recognizes that she is not herself. She has previously received a flu vaccine every year, but I’m considering no longer getting her vaccinated, believing that, should she get the flu, it is more humane for her misery to end sooner rather than later. Thanks for sharing your story. Well, it sounds like based on your mother’s declining health and what you perceive as her preferences, your goals for her medical care are that it keep her comfortable, rather than postpone death. That’s often a very reasonable approach. I explain addressing goals of care and how one might scale back life-prolonging medical care in this article: How to Plan for Decline in Alzheimer’s Dementia:A 5-Step Approach to Navigating Difficult Decisions & Crises with Less Stress. Good luck and take care, it’s wonderful that you’re carefully thinking about what kind of medical care is the best fit for your mother, given her values and her condition. Thank you Dr. Kernisian for your reply and the link to the article. It was extremely validating, particulary as my mom was readmitted to the hospital with a raging urinary tract infection. She is doing better and likely going back to rehab, but only until I can find a new living situation for her and begin hospice. She did/does not want the revolving door of hospital admissions. I wish there were more geriatricians willing to be so honest and pragmatic. For unusually high BP associated with vaccination, I would say it’s more likely that the high BP is due to pain or anxiety about the medical encounter, rather than due to the vaccine itself. It is fairly common for people to spike their blood pressure when they are upset, hurt, or anxious. You could try checking her BP at home every day for a few days. If it remains higher than expected, then it would be a good idea to contact her usual health providers to ask for advice. I have more on managing BP here: 6 Steps to Better High Blood Pressure Treatment for Older Adults. Good luck! Is there an advantage to waiting and getting the flu shot closer to the flu season…maybe in late November or early December? See this comment above, which is closely related to your question. Although influenza activity usually peaks between December and February, there is often a fair bit of influenza activity in November. It takes about two weeks for the body to respond to the flu vaccine. The CDC and other experts recommend being vaccinated by the end of October. Thank you….I’m off to get my flu shot! Dr. Kernisian, I just want to say how amazing it is that you respond to all questions! So great. I do this in hopes that my answering the question publicly will be useful to other readers. Thank you for your comment, I appreciate it! Hello, I work as an RN in a large clinic system that is only offering Flublok Quadrivalent vaccine for individuals 65 years and older this year (in the past they have always offered Fluzone High-Dose). My husband is 72 years old and has several chronic medical conditions and does not leave the house very often. He could go to a pharmacy in order to get the Fluzone High-Dose vaccine. He is hesitating in making a decision because it will require about 2-3 hours more effort and time to go to the pharmacy for the High Dose vaccine than if I just bring the Flublok vaccine home to him. Do you have a suggestion in this circumstance? Thank you for this excellent web site and pod cast— I always learn so much! Hm, interesting dilemma. Well, my interpretation of the data is that in general, the high-dose vaccine is more likely to provide protection from influenza or serious influenza complications. That said, it’s hard to quantify just how much additional protection your husband, as an individual, is likely to get from Fluzone high dose vs Flublok, and whether that is worth 2-3 hours of his time and effort. The CDC, after all, does not particularly recommend the vaccines developed for older adults; they say that what is most important is to get a flu vaccine. It’s also currently impossible to know whether this year’s vaccine will be a good match for the flu, and what kind of flu season we’ll have. Really, I think you could go either way. In general, the absolute benefit of vaccination for an older person who doesn’t leave the house much is small. So if he’s unwell and it’s a burden to leave the house, it sounds reasonable to just go with Flublok. But if you and he want to feel you’ve done more to minimize his risk, then it’s also reasonable to try to get Fluzone high-dose. Good luck! Does this response mean if a older person, age 89 doesn’t leave the house very often, only occasional visits to doctor, would you recommend they NOT have the vaccine at all. Someone is telling me to do that for my mother. It kind of makes sense, but I want to do the right thing. If you could respond to this, I’d be grateful!. Thank you. – what are the likely benefits of getting this intervention? – What are the likely burdens? – What are the goals for this person’s medical care? How important is it to try to prolong life, versus minimizing distress? For instance, an older person who has advanced dementia, is bedbound, and whose family has opted to stop trying to prolong life, in this case vaccinating against the flu probably doesn’t make much sense. Generally we do recommend vaccination, unless it’s quite distressing or burdensome to an older adult, or unless the goals of medical care are really focused on comfort. Hope this helps. Dr. Kernisan, Thank you for taking the time to write this very detailed account of the Flu vaccine. I am a 73 yo prostate cancer patient who wants to prevent dying from vaccine preventable diseases. flu infection on immune compromised patients? Especially non vaccinated patients? Because of the naïve mercury objections, most Flu vaccine are the more expensive single dose vials. Q. The CDC recommends against getting both the HD trivalent vaccine and a quadrivalent flu vaccine. Q. Do you know about an upcoming RSV vaccine especially tailored for the elderly? Q. It is recommended that seniors get a Tdap vaccine because of the pertussis issue with newborns. Do you see a problem with getting the Tdap with the Flu vaccine? – The nasal vaccine (which contains live virus) is not approved for people aged 50 or older, so I don’t spend much time researching the details. – Most influenza vaccines do not contain alumnium. The Fluad vaccine probably does. The CDC comments on the risks of adjuvants here. – I don’t generally question the CDC’s guidance or another expert society’s guidance (unless it falls into one of those domains where geriatricians sometimes draw different conclusions that other specialists do). So I can’t comment on why the CDC is against double immunization, or why they are not recommending HD flu vaccine for certain populations. – I have not yet decided what position to publicly declare, if any, regarding Shingrix and the adjuvant. I generally prefer to recommend interventions and vaccines that have a proven track record, which Shingrix won’t have for a few years. – Yes, it’s generally considered ok to get influenza vaccine at the same time as Tdap, see here. – The CDC says that people born before 1957 do not need the MMR, because almost everyone is presumed to have been exposed to measles, mumps and rubella during childhood. Thanks so much for your comprehensive and understanding information about flu shots (and many other subjects). Thank you, I’m so glad you find the site informative. Appreciate this feedback as it helps me keep going. I never have had a flu shot. Last year I had the flu for the first time I can remember(I am 66) It was a rather classic case and was followed by a UTI. My husband(69) also got it and was followed by infected saliva glands. I did a bit of flu research while convalescing and am under the impression that having had the flu last year can afford me as much protection from future flu as an unmatched flu shot. What do you think? I’ve read a lot about my older compromised immune system so was pretty impressed with its performance last year. I dud get the pneumonia vaccine this year after I understood it’s a life time immunity, unlike the flu shot. However I am considering a flu shot, but was informed to wait until the second half of October. I’ve been fortunate to be extremely healthy all my life but am surprised at the different results I get when researching if I google in “geriatric”. It’s a totally different field with different results and it seems to me not that fewer ” geriatrics” are included in drug trials yet they are the largest population of recipients of prescribed meds. I am appalled that there’s not more warnings about the use of OTC meds that are brain disruptive to the elderly. Thank you for your website and the issues you address. Thank you for sharing your story and these comments. I’m so glad you find the site helpful. Agree that OTC medications that are brain disruptive (namely anticholinergics such as Benadryl, PM painkillers, and OTC sleep aids) should be more clearly labeled as risky for older adults. So glad you are aware of this issue! Re including older adults in research, this is indeed an important issue. There have been some influenza vaccination studies done in older adults, although how they define “older” varies. I’m not aware of much research on how having the flu the year prior might protect against influenza the following season. The safest approach is to get the annual flu shot. Since you are 66 and describe yourself as “extremely healthy,” I would guess that your immune system is still doing pretty well, even though it’s probably not as vigorous as it was 30 years ago. This means you’re likely to have a good response to the flu vaccine. good luck! Yes, it’s true that even younger healthy people can get sick and die from the flu. This happened several times last year, it was very sad. That said, these deaths are statistically an unusual event. Even last year, when the strain of flu going around was particularly bad, the vast majority of younger healthy people infected with influenza did not get hospitalized. Hence as I write in the article, I’m not that concerned about getting dangerously ill from influenza. I get myself vaccinated because it does reduce my chances of getting sick and feeling miserable for several days, and also because it helps protect my patients and others. It also reduces my risk of getting dangerously ill, but in absolute terms, it’s a very small reduction in risk for healthy younger people. My Doctor’s nurse gave me (age 79) regular flu vaccine by mistake even tho I asked for high dose Fluzone. Should I proceed with the Fluzone shot? Will the 2 shots cause any harm? Hm. The CDC says that any flu shot approved for your age is acceptable, and experts generally recommend against revaccinating during the flu season. I don’t know what harm might be expected from two shots concurrently, I’m not aware of that being studied. I would recommend discussing your concerns with your doctor. It’s probably reasonable to just stick with the one flu vaccine you received. It is good that you mentioned that as we grow older, our immune systems are inclined to respond less to immunization. If that is the case, the younger we are, the better we take advantage of the flu shots to avoid influenza virus that can be dangerous to our health and body. To make sure we are safe from that virus, I will advise my husband and children to have a flu shot annually to bolster our immune system. I am 83 years old and have diabetes, atrial fibrillation, polymyalgia rheumatica, osteoarthritis and hypertension, all of which have been fairly well controlled with medication. I am on Xarelto, glipizide, metformin, sotalol, small amount of prednisone, metoprolol, vitamin D3 and vitamin B12. Ten days ago I received the Fluzone high-doze flu vaccination. My arm was quite sore for the next few days and my arm was blotchy red. I also had a runny nose and pretty severe frontal headache with a cough at night and fairly severe increased muscle aches for several days. Today (the 10th day after receiving) I am still just really tired and sometimes get out of breath just doing small chores. I received my vaccine at the CVS local pharmacy. I have not contacted anyone yet, neither my internal medicine doctor or my cardiologist. I have recently had extensive heart tests and lab tests which were all good. Each doctor seems to blame my complaints when I call them on “stress.” I am a fairly recent widow and I think that is probably a common complaint of widows. I am hesitating to call them to be told again that my problem is stress. I don’t feel like what is happening to me Is life-threatening but I am just concerned that I am still so tired–like I am just getting over the flu. Have you had any experience with this in an older person? Thanks for your help. Well, some people do feel like they have a reaction to the flu shot. That said, if you are still feeling so tired and also short of breath, I would be careful about attributing this to the flu shot, especially since it’s been 10 days since you had it. There are number of health problems that could cause the symptoms you’re experiencing, and just because your tests were fine recently doesn’t mean something can’t have happened or evolved since then. Given your age, your chronic conditions, and your many medications, if you are feeling tired and short of breath it’s entirely reasonable to ask to be evaluated by your usual doctor or even in urgent care. Good luck! Today is 18 days past my flu shot, and I still am feeling badly. I became so tired last evening and had somewhat of a nervous meltdown about my condition that my son insisted on taking me to an ER near my house. I have been very worried about my condition. I was not treated very well by the NP in the ER. His first question was why did I not return to the place where I received the vaccine, which I had administered at a CVS pharmacy. I had talked with them on Monday and they had no reports so far about such extreme effects. And a pharmacy cannot treat me. I called the CDC in Atlanta on Tuesday and they would give me no medical results or recommendations, would send me a complaint card. In the ER, a lot of blood work was done and the results were all good as far as CBC, sed rate (which is normally elevated because of PMR), c-reactive protein, etc. He dismissed me to home with recommendation to just drink plenty of liquids. I’m still feeling so tired and occasionally having headaches. I have no appetite and still have loose bowels. I am at my wit’s end. I don’t know what to do. If I could just communicate with someone who has been through this and could hear them say that: “You will be OK, just have patience and don’t be scared.” Can anyone give me advice? Sorry you’re still feeling unwell. Many things get better eventually, with time and especially with rest and a restorative environment. But I cannot say what’s likely for you. I hope you start feeling better soon and if not, I hope you find a health provider who can be helpful. It is now 6 weeks past my having received the over-65 flu vaccine as I have stated above. I have had two trips to the ER, one visit to a walk-in clinic, a visit with my ophthalmologist and a visit to my rheumatologist. All tests at 3 different times have been “within normal limits” except for my C-reactive protein, which was 1.39 mg/dL with normal being 0.00 to 0.50 mg/dL. My extensive research tells me that this is apparently not enough to indicate that I have a recurrence of my temporal arteritis. I have definitely had a flare of my polymyalgia rheumatica. I still have headaches and an abnormal intestinal tract. My life has certainly been affected by the vaccine. What really concerns me is the lack of concern shown by most people I have seen. Like, “Just give it some time.” It has been 43 days of misery for me, being scared that I will not be able to continue taking care of myself. I have read extensively about the problems this has caused older people who have an autoimmune disease and especially the writings of a physician at the Cleveland Clinic. I wish that I had read these writings before I received the vaccine. I think the CDC or the FDA or some regulatory agency should give more warnings to the public about this. The agencies that I have called do not seem to be interested in my opinions. They say they will send me a form to complete. Well, truthfully, I don’t have the energy to complete those forms. Thank you for listening to my complaints. Sorry you have been feeling unwell. Perhaps you can share some links to what you are reading regarding the flu vaccine in older adults with autoimmune disease? It is too bad if you feel people haven’t shown enough concern. I imagine that even if they are concerned, they don’t see any reason to hospitalize you and they aren’t sure what they can do to further evaluate you or help you feel better. Although we know a lot about the body (compared to 100 years ago), in some cases it still seems mysterious and we are unable to explain what might be going on. I had an autoimmune disease (polymaligia rheumatica } for 2 years in 2010 – 2012. I was diagnosed with autoimmune antibodies of RA, Lupus, and Syrogyn antibodies. I have not had elderly flu shot or other since and afraid the toxins from it and the shot messing with my immune system will cause flareup of the antibodies. Have you any information on this? Someone has already asked about the flu shot and autoimmune disease, please see my response above. Basically, the CDC and many other experts recommend that people with autoimmune disease get the seasonal influenza vaccine. If you have concerns, I would recommend discussing with a rheumatologist or with your usual health provider. Mary, you may be wise not to get the stronger vaccine. If you are interested, read my various writings above what the vaccine has done to me. Each person has to make his own decision, but I wish that someone would have warned me about the possible outcome with getting the stronger vaccine especially about all of the antigens it contains. I have been sick for 43 days, but I am slowly improving. I occasionally will have a relapse of one of my symptoms, seems to be never-ending. Anna, although you have had a difficult time with your health since getting the flu vaccine, overall the number of such reactions (if what you are having truly is a reaction to the flu shot) is much smaller than the number older adults who are hospitalized due to influenza every year. For most older adults, the likely benefits of the flu vaccine outweigh the likely risks. 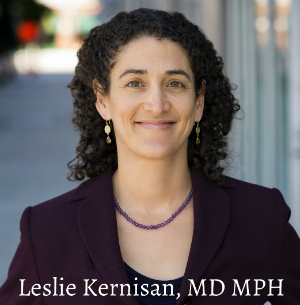 Dr. Kernisan, I realize what you say is true, and I have wanted to be careful that I do not encourage anyone to neglect getting the flu vaccine. My concern is that there should be more warnings for people who suffer from autoimmune diseases to avoid the over-65 vaccine. I had received regular flu vaccines for more than 15 years without any problems at all. I had listed all of my health problems and medications on the form that I completed at the facility where I received the vaccine. If the pharmacist had read it, she should have known not to give me the stronger dose had she been educated about the possible results. I asked her if I would have any side effects from the vaccine she gave me, and her reply was “possibly only a sore arm and a low-grade fever.” Well, I wish that would have been all. It’s now 8 weeks and I am still having problems, but I am much better; so hopefully one day I will recover completely. Thank you for all of your help. As far as I know, the CDC and other authorities have not yet issued any warnings that the stronger flu shot should not be given to people with autoimmune diseases. It is not clear to me that this is a known risk yet. So I would not expect a pharmacist or generalist to counsel you regarding this issue. Furthermore, even if there was an increased risk of illness in people such as yourself, before issuing a blanket caution, the CDC would want to determine whether the risk was greater than the risk of serious flu-related illness. For instance, the CDC has determined that there may be a small increased risk of Guillan-Barre syndrome with the flu vaccine, however the increased risk is very small (the CDC estimates it at one to two additional GBS cases per million doses of flu vaccine administered), and so for most people, the likely benefit of influenza vaccination vastly outweighs the risk. I am very sorry for your prolonged recent illness, but I have to again say that from a science perspective, it’s impossible to know whether it was due to your influenza vaccination or not. I try to allow people to express themselves in the comments but I’m not comfortable with readers drawing medical conclusions from their single experience and advising others on this basis. An individual’s experience can generate a hypothesis but no more; when such hypothesis are subjected to rigorous medical study, many of them do not hold up. The take away that I would recommend, from your story, is that people with a history of autoimmune disease should consider consulting their rheumatologist or personal physician, for help assessing the risks and benefits of vaccination with the standard flu vaccine or stronger one. I do appreciate your being part of our community and hope you continue your recovery. You might find this interesting. Have a great New Year! !